Moringa trees, from which Moringa Products are produced, are originated from India and now found in African, Asian and American countries such as Ghana, Philippines and Haiti. These Products are commercially manufactured by processing different parts of Moringa such as leaves, Seeds and other parts. Common uses of Moringa Products are in Food & Health supplement, pharmaceuticals, cooking and cosmetics. The different product types of Moringa Products are virgin Moringa Products, organic Moringa Products and other miscellaneous, depending on the method of growing, harvesting and processing/extraction. The increasing demand for Moringa Products in developing countries like India, China and Brazil is one of the primary drivers. This is owing to the strong economic growth and increasing awareness of health benefits among consumers, coupled with a greater exposure to the western lifestyle, there seems to be an upward trend in consumption of Moringa Products. 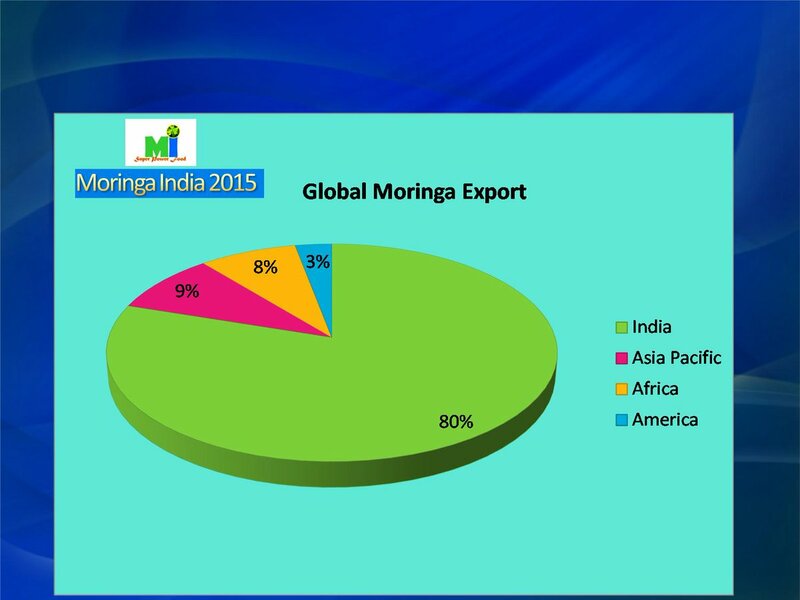 India is the most advanced supplier of Moringa, but African and American countries are developing their production. There has also been extensive research on Moringa cultivation in India. Given its significant health and nutritional benefits, Moringa has the potential not only for as a health food supplement but also as a nutritional supplement in the fight against malnutrition. In addition, countries like USA and EU have developed a standard for regulating Moringa Products. In order to enter Western Hemisphere health food markets, it is important for any Moringa products to pass food regulations and quality control for Western markets. 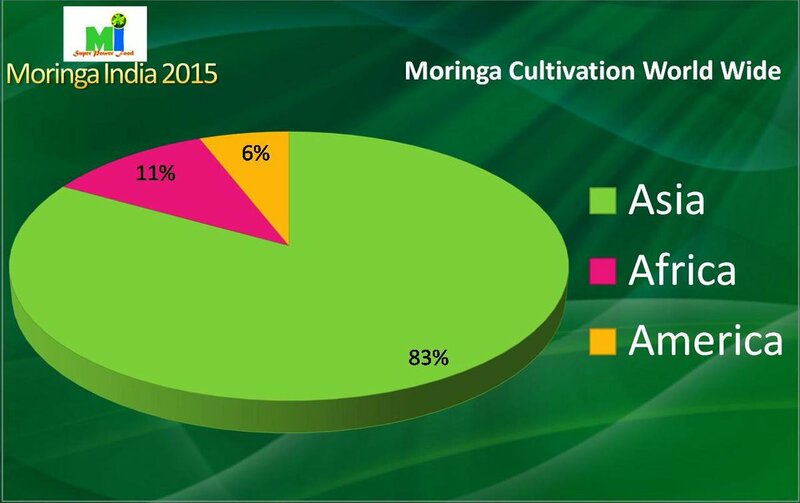 The global standardization of Moringa Products is attracting more consumer demand for the product. Scientific research has made steady progress, generating a growing body of conclusions on the biological, nutritional and health-promoting properties of Moringa Products. In additions to its abundance of nutrition and phytocompounds, it has been widely studied by over 990 peer-viewed scientific articles for its health and wellness benefits. The outstanding nutritional qualities of Moringa Products (very high content in vitamins, minerals and proteins) have raise a lot of interest and it’s not uncommon for food companies to jump at the opportunity to use the trending ingredient. Moringa production is limited to only some specific countries that fall under the tropical and sub tropical belt such as African and American countries apart from its homeland India among others. Pricing of Moringa Products fluctuates when production or cultivation gets affected. This is one of the primary restraints for the Moringa Products market. Malpractice of some producers to supply lower grade or adulterated Products Moringa in the form of the purer organic or wild version and arising due to unclear standardisation parameters is another main restraint for Moringa Products. 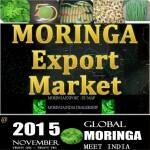 There is an increasing demand of good quality Moringa Products in developed regions of Europe and North America. 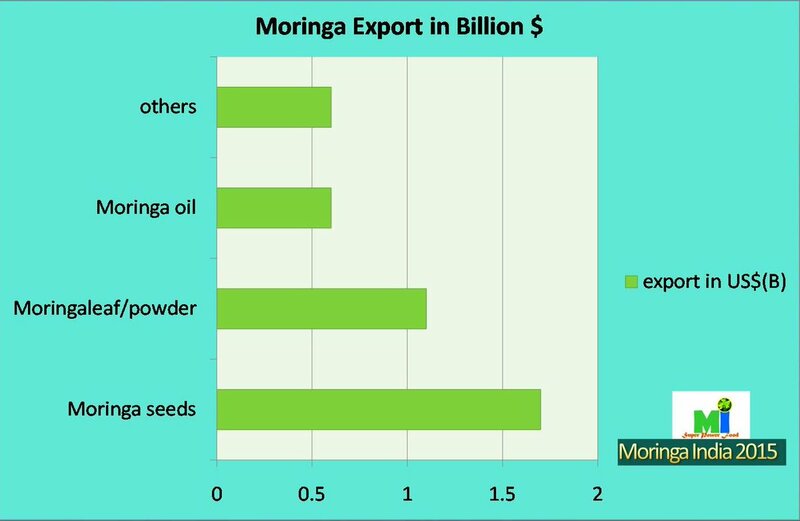 Countries such as Africans and India have not enough output in terms of Moringa production to meet rising worldwide demand. Determined efforts are being made by such countries to increase production by using advance technology in agriculture and production. 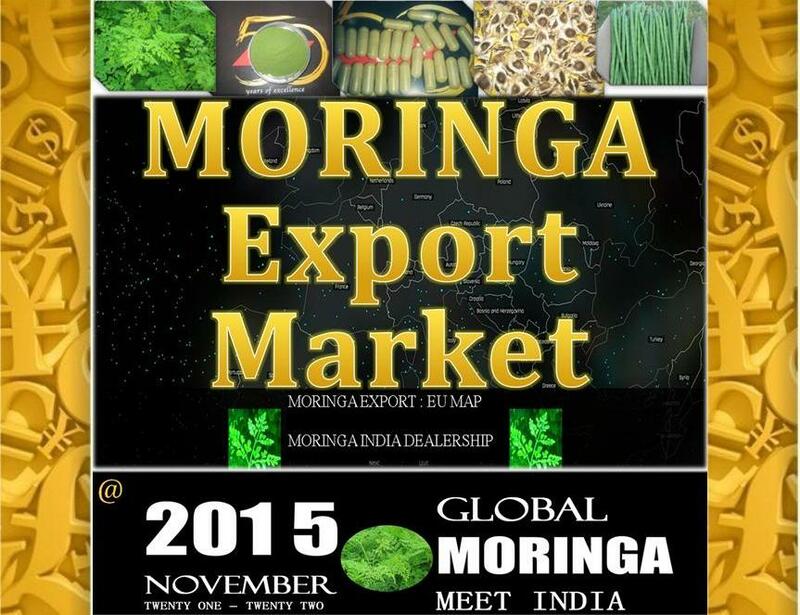 The key Moringa producing country is India meeting 80% of world demand. Some of the other key manufacturers’ countries of Moringa Products are Ghana, Philippines, Nigeria, Kenya, Rwanda, Niger, Mozambique, Cambodia and Haiti among others. This report is a complete study of current trends in the market, industry growth drivers, and restraints. The Global Moringa Meet 2015 is a unique opportunity to learn the latest in sustainable practices for Moringa business. This 2- day conference is designed to educate, motivate and inspire you to take your green quotient to the next level and to give you actionable next steps to make your business more sustainable. If you are committed to or interested in making your business as sustainable as possible and ensuring the green line is as relevant as the bottom line – the Global Moringa Meet 2015 is an opportunity you cannot afford to miss. The 3rd Global Moringa Meet India is the most authoritative Moringa Programme and the ONLY event that you need to attend to keep abreast of the development in international Moringa sector. Now is a high time to confirm your participation at 3rd Moringa Meet India and avoid disappointment as seats at the Programme sell out fast! Moinga India is making huge efforts, experiments, research to harness the harnessing the “superfood” powers of Moringa oleifera, a drought-resistant tree native to North India and widely used throughout the topics for in solving this global problem.